It has taken me 2 years to put this series of Excel conferences in Australia and New Zealand together. Now please help me spread the word! For the first time ever some of the world’s leading authorities on Excel and spreadsheet models are coming together to share their knowledge. If you use, rely on, tell stories with, worry about, or operate in the advanced areas of Excel, then there’s a track designed just for you. Learn from six of the world’s leading Excel MVP’s as they discuss the Excel topics most useful to you. Hear industry leading speakers from around the world give you the latest views on Financial Modelling best practices, standards and spreadsheet risk. Shape the future of Excel: Interact with members of the Microsoft Excel Dev Team as you explore with them the future of Excel. Choose the sessions that best suit your needs from 23 masterclass sessions over two days of twin tracks for modellers and analysts. Use your opportunities, including two Panel discussions and Q&A sessions, throughout the two days to ask questions and discuss with the Excel MVPs and the industry experts. 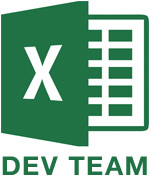 The Excel Dev Team members will use this opportunity to learn from their customers, understand how you use Excel and get feedback on your Excel experience. EarlyBird 20% discount available for registrations before December 31 2015. Don’t miss out out on this unique Excel opportunity. The ModelOff Meetup event delivers plenty of opportunities to mingle, learn from your peers, talk to the speakers and have fun. You should be able to write a generic filter function in your custom collection class based around CallByName from the object class. Of course he’s right. Here’s how that might look. Suppose I have some sample contact data. The comparison value needs to be a variant to account for all the different data types your properties could be. If you had a property of your class that was another class it could complicate things. But this saves me having to write a bunch of Filter properties. So thanks James for making that comment. In the comments to Error Handling Via an Error Class, Peter found that the problem with this method is the absence of the Stop and Resume in the error handler than let you debug at the line that caused the error. Yeah, that stinks. Then Jase got me thinking that I just wouldn’t create the class in debug mode. Well, that wasn’t quite right. What needed to happen was that the error handler should not be set in debug mode. Here’s a rewrite of the entry point procedure. Set clsError = New CError: clsError.SetLoc "Module1", "EntryPoint"
When gbDebugMode is False, the error handler is set and it works as described in the original post. That is, the user gets a message box and the code exits gracefully. When gbDebugMode is True, the error handler is not set. It’s like you don’t have an error handler at all – because you don’t. When in debug mode, you get kicked to the line that caused the error. Is that that last hurdle? A while ago I read an answer on stackoverflow about error handling. I can’t seem to find that question now, so you’ll have to take my word for it. The question was asking about error handling best practices in VBA and I found one of the answers interesting. The answerer said that you could use the Terminate event of a custom class module as your error logger. I had never thought of that. I’ve been using the Professional Excel Development error handling method with great success for many years. This method controls the error as it moves back up the call stack, either by returning a Boolean to the calling procedure or by rethrowing the error. Without error handling, VBA sends the error back up the call stack automatically until it is handled. So, for instance, if you only handled errors in your entry point procedures, you would still have an error handler. You just wouldn’t have the information about the stack that would be critical to finding out where the error occurred. The class method of error handling takes advantage of the built-in ability of VBA to pull an error back up the stack. It uses the fact that local variables go out of scope when the procedure is complete, such as when an unhandled error occurs and the cursor is sent to the calling procedure. If you had a local variable pointing to a class, that class’s Terminate event would fire when an unhandled error occurred. Borrowing the setup from PED2, let’s see how this would work. Set clsError = New CError: clsError.SetLoc "Module1", "SubProc1"
Set clsError = New CError: clsError.SetLoc "Module1", "SubProc2"
EntryPoint calls SubProc1. SubProc1 calls SubProc2. An error occurs in SubProc2. Only EntryPoint has error handling. It uses On Error Goto ErrorHandler to route program flow to the error handling section. Neither SubProc1 nor SubProc2 have any error handling. We’re going to let VBA kick the error back up to the call stack until it gets to EntryPoint. Each procedure has a local variable that points to an instance of CError. CError is a custom class whose Terminate event I’ll be using to log the error as it moves back up the stack. When the error occurs in SubProc2, the clsError variable in SubProc2 goes out of scope and its Terminate event fires. The error is passed up to SubProc1 by VBA by design. Because there is no error handling in SubProc1, that error causes the instance of clsError in SubProc1 to go out of scope and its Terminate event fires. Once again, VBA does it’s thing by passing control back up the stack, error in tow. EntryPoint does have error handling, so when program control reaches it, the ErrorHandler section goes into action. Assuming we’re not in debug mode, the first thing to do is terminate clsError by setting it to nothing. By the time we exit this procedure, the built-in Err object will have been reset and we won’t have anything to log. By setting clsError in EntryPoint to Nothing, we get the last entry in our log. After that, the error is displayed and program control is sent back to ErrorExit for any clean up (no clean up in this example, just the Exit Sub). Of course I made it virtually identical to PED’s log entry. I’ve kept the logging pretty simple for this example. In the Class_Terminate event, I first check to see if Err.Number is zero. This method relies on the fact that the Terminate event will fire when an error occurs. But in reality, the Terminate event will fire when the subprocedure finishes without error too. It fires whenever my local variable goes out of scope and that happens when there’s an error or when the subprocedure completes. We only want to log when an error occurs, so we have to check that. The logging is a simple Debug.Print statement. To replicate the PED method, that would need to be expanded to write to a log file. This is a very simple example that I put together to see how this might be setup. There might be some problems with this method that I haven’t encountered. I’m not advocating that you use this method, but I am intrigued by its simplicity. If you have any thoughts on this method of error handling or on error handling in general, leave a comment below.